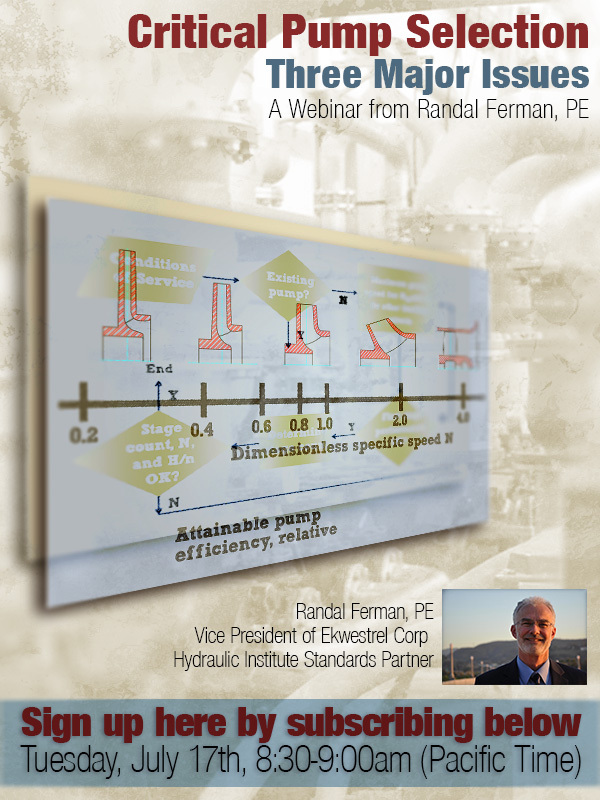 This special 20-minute live webinar will cover three major pitfalls to navigate when selecting pumps. Immediately following the presentation, 10 minutes will be devoted to question-and-answer with the webinar participants. This webinar already took place – to subscribe to future webinars – click here.